2018 has witnessed a lot of diversity in the fashion sphere. From size inclusive clothing to colorful patterns and obviously a nod to indigenous designs. Not only this, the streetwear trends have ruled the shows more than the haute couture ones. The advanced millennials and the gen-z shoppers seek multi-functionality in their clothing hence, the trends of 2019 are no different. 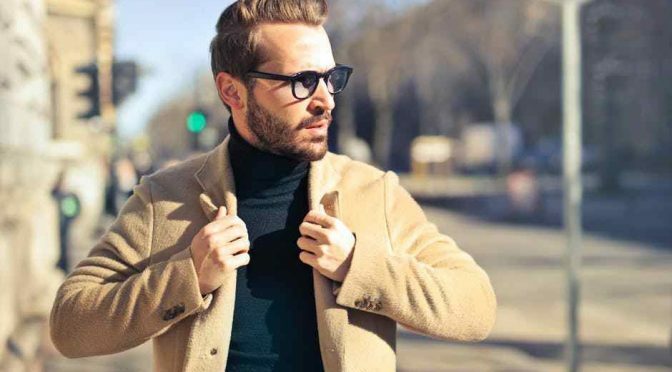 The traditional clothing of men has been through a lot of changes and the newer styles are less complicated yet appeals to the aesthetic senses. Hence, retailers who want to include clothing that adheres to the current trends can contact fitness clothing manufactures USA to have a look at the available stock. Meanwhile read on to know more about the ongoing trends of the season. Contemporary oatmeal is the color of the season which also translates into beige. From trench coats to tracksuits to even shirts, this modest neutral tone is going to be the king of the color palette this year. Don’t confuse it with the pantone color of the year, as classics like beige can really give a competition to the coral bright, especially when it comes to the clothes. The skinny pants are finally over and has given way to the loose fitted and flared pats. Basically the 70’s trend is back but in a more sophisticated version. The pant variety ranges from denim, suede, leather to even chinos, sans the skinny silhouette. If you think that the mid-west dad style is uncool then its back with a bang this year. Every season there’s a wild-card entrant that seems to appear out of nowhere. This time it is the utility vest but not in the boring colors. Available in different shades of denim as well as earthy colors, you know which to choose if you want to strike a chord in the trend department. In fact, the jacket is a stylish piece that can be layered over any type of monochromatic clothing. If you’ve got California on your mind, then don’t worry because the mood has been translated into a trend. From tie-dye’s to endless wetsuits there’s a whole new bunch of apparel that you can browse through to find the ideal apparel for yourself. If the slant beaches and surfing is something that you live by then you should definitely try the beachy wardrobe look, especially for the warmer days of the year. Retailers who want to include clothes like wholesale tracksuits and suits in their store can get in touch with one of the popular manufacturers. All you need to do is browse through the unique collection of clothing produced by the wholesaler. After electing the required pieces, state the bulk needs to the customer care team.